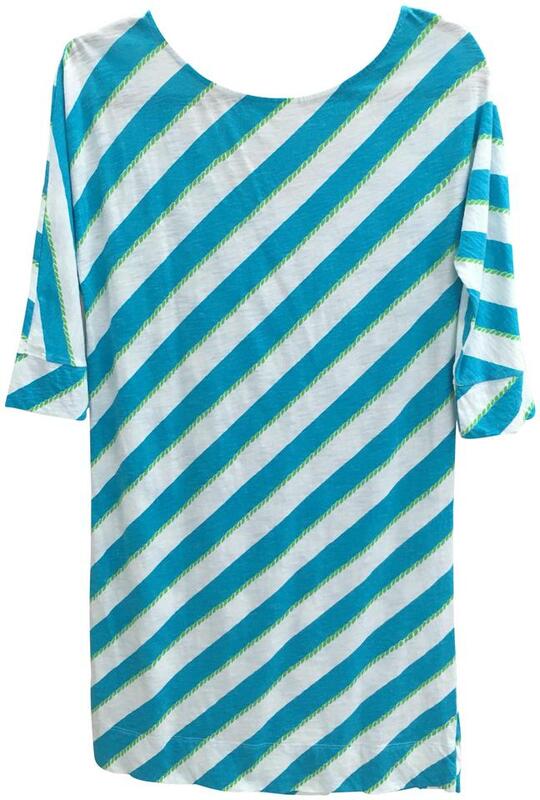 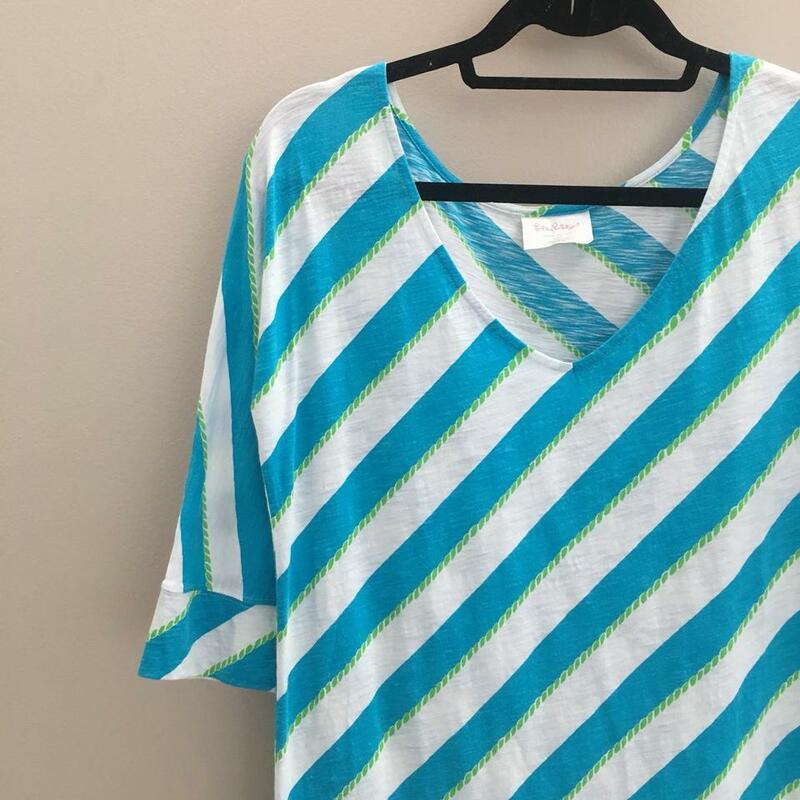 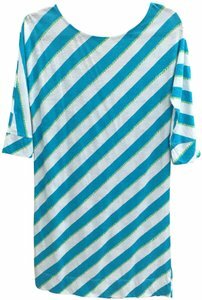 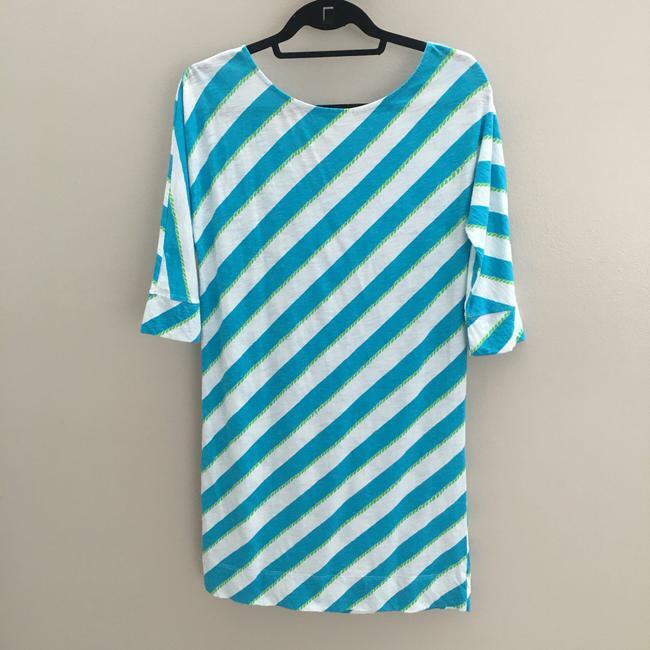 Eliza Dress Turquoise Roper Stripe Shift Cotton Sleeve. 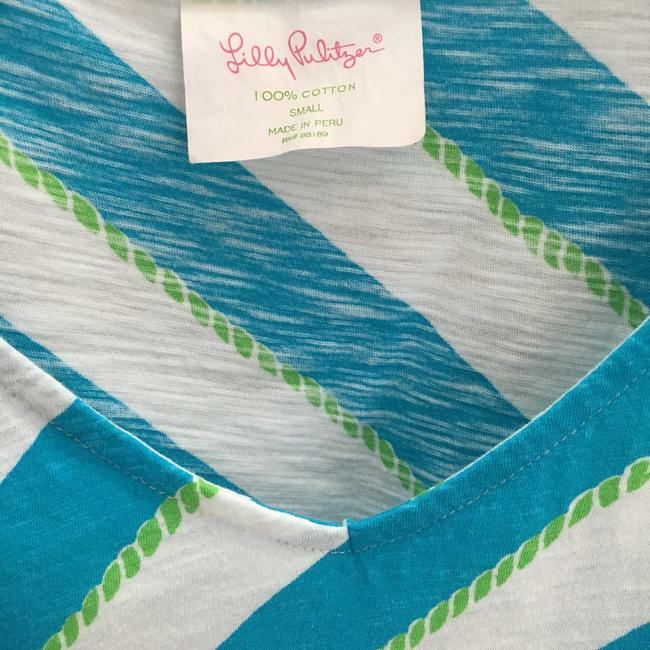 3/4 sleeves. Can be worn it with the V in the back or front. So versatile & comfy. Turquoise and white stripe with green ropes along the turquoise.